Here you find an overview of festivals, sports events, exhibitions, shows and trendy events, everything we think is worthwhile to visit. If you are planning a trip to Holland it can be smart to plan it around one of these happenings. Some events are simply great fun, as all over the country concerts and parties are going on. 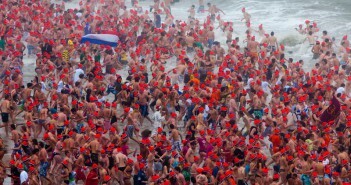 Celebrate the new year with a typical Dutch tradition: a new year’s dive. There are over 60 locations in the Netherlands where you can jump into the sea or a lake. 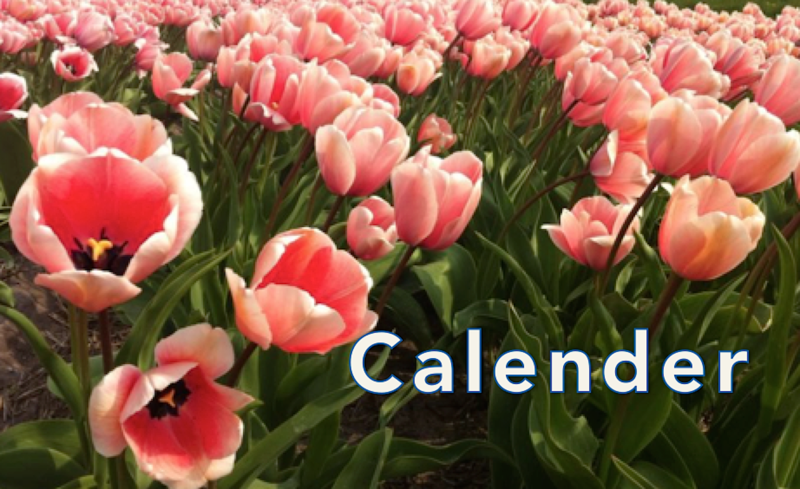 January 16th, National Tulipday – Free picking tulips, De Dam, Amsterdam. Every year provide approximately 1.7 billion Dutch tulips for a spring feeling at home . Dutch tulip growers on Dam create a huge garden with some 200,000 tulips. More than 10,000 people come on down to pick free tulips – make sure you also pick your own tulips at the Dam this year! “Alaaf” is the greeting you say during Carnival. Carnival is a traditional feast, is celebrated mainly in the south of the Netherlands in the provinces of North Brabant and Limburg but also celebrated in smaller villages in the rest of Holland. The carnival lasts three days and is started by handing over the citykey by the mayor to Prince Carnival. Prins Carnaval rules the city during Carnival. Its a feast were people wear colorful clothing and drink, sing and dance from pub to pub and in the streets. So put on some colorful crazy clothing and celebrate Carnaval with the locals. During Carnival , many towns and cities have an alternative name. For example ’s Hertogenbosch is called during carnival Oeteldonk. This is a unique and unforgettable flowering park with a varieties of 800 tulips, there are more the 7 million bulbs in bloom. A traditional and historical cheese market held every Friday morning between 10 and 12.30 hours. A traditional and historical cheese market held every Thursday morning between 10.00 and 13.00 hours. Shoes with high heels minimal hight 7 cm, sock or boots with stiletto heels are not allowed. Address: Voorstraat, Nederhorst ten Berg, start 13.30 hours. During Commemoration Day on the 4th of May, Holland grieves for the people killed in wars. The oldest and most famous music festival in the Netherlands. PINKPOP actually means “Pop Pentecost” and is usually held in the Whitsun weekend. Make sure you get your ticket on time. One of the largest free popfestivals in Europe is Parkpop in the Hague. Come along and join in the fun at Parkpop! Whoever says pop music, says The Hague. Three days of international and national jazz. More than a thousand musicians, spread out over 150 performances and thirteen different stages. International Four Days Marches of Nijmegen. 42.000 national and international walkers walk a daily tour of 40 km. 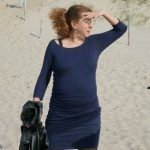 The Four Days Marches have a different route each day; through the landscapes of Dutch provinces of Gelderland, Brabant and Limburg, through the city of Nijmegen and its outskirts. After the four days of walking the participants receive a Four Days Metal. The famous Canal Parade starts on Saturday first of August from 14.00 till 18.00 hours. 75 spectacular decorated boats with beautiful girls and boys will sail through the Prinsengracht and Amstel river. You don’t want to miss this spectacular event. The Utrecht Early Music Festival in the historic centre of Utrecht. The programme is filled with over 150 concerts and other activities like Summerschool Lectures, an Early Music Exhibition and a STIMU-Symposium. Techno, deep-house and tech-house, new talent, emerging greats and household favourites on 5 stages, a colourfully playful festival. The Uitfeest marks the beginning of a new cultural season. Cultural institutions open their doors and performers give a preview of their new show. The city of Utrecht will be one big stage with music, dance, theatre, exhibitions and film. September, Damloop by night 5 English miles . At this event maximum 15.000 runners starts on Saturday evening the Damloop through the lit streets of Zaandam. 31st edition of the Dam tot Damloop with a passage through the IJtunnel. The start and finish are in two different cities. At the start are some top athletes. For a maximum number 6000 cyclists the cycling event is organized. The Dam tot Damloop is the largest sporting weekend in the Netherlands. The biggest autumn event of the south of Holland. Beer, beer and beer, its all about beer. Four giant party pavilions, a mega carnival, parades, extracurricular activities for young and old make for a great event in which the community is passionately involved. A substantional part of the population of Sittard dresses in German Dirndl and Lederhosen and entrepreneurs do their shop in October style. For the first time, the Rijksmuseum presents an exhibition of all 22 paintings, 60 drawings and more than 300 best examples of Rembrandt’s prints in its collection. More than two hundred and twenty exhibitors greet visitors welcome to atmospheric heating stands. The fair is good to stay for lovers of exclusive Christmas gifts, lifestyle articles, fire pits and smell of Christmas and winter create an unforgettable atmosphere with the fairytale castle de Haar as a backdrop. During the Country & Christmas Fair, you can visit the castle at a discounted rate. December 5th, Sinterklaas, National feast. Sinterklaas and his helpers arrive each year in november on a steam boat filled with gifts. Sinterklaas also called Saint Nicolas and his helpers all called “Piet” are loved by children. Children can put their shoe next to the chimney. At night, Sinterklaas rides across the rooftops on his white horse Amerigo and places traditional sweets and gifts in the children’s shoes. Traditional sweets are Pepernoten, marzipan and chocolate letters, you can buy them at bakery’s and supermarkets. On December 5 , the birthday of Sinterklaas is celebrated and gifts are exchanged, Sinterklaas and his helpers are nog real, its a made up story. At the age of 6 or 7 years children are told the real story. Sinterklaas arrives in nearly all Dutch cities and villages, for exact date check a tourist office.